Situated in the heart of Vouliagmeni, this luxury 5-star hotel offers rooms that feature a spa bath. 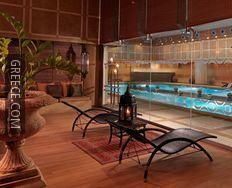 It features an on-site gym, a sauna, a beauty centre and a swimming pool. 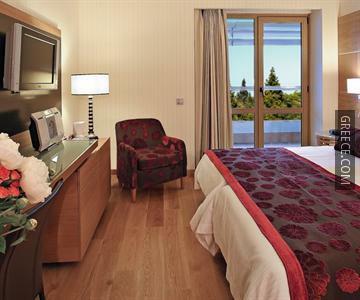 The Divani Apollon Suites offers sophisticated and modern rooms equipped with a refrigerator, cable / satellite channels and a mini bar. Amenities featured in the rooms include complimentary toiletries, tea and coffee making facilities and in-room movies. A TV and a hair dryer are also provided in each room. 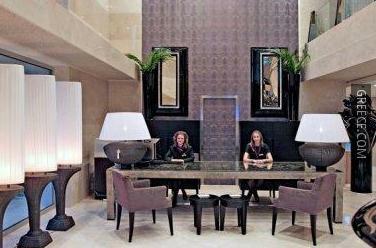 The Divani Apollon Suites Vouliagmeni's on-premises eatery is a hassle-free option for guests wanting to eat in. The situation of the hotel means guests can easily reach multiple tourist attractions on foot. Voula and Varkiza are both an easy drive from the hotel.